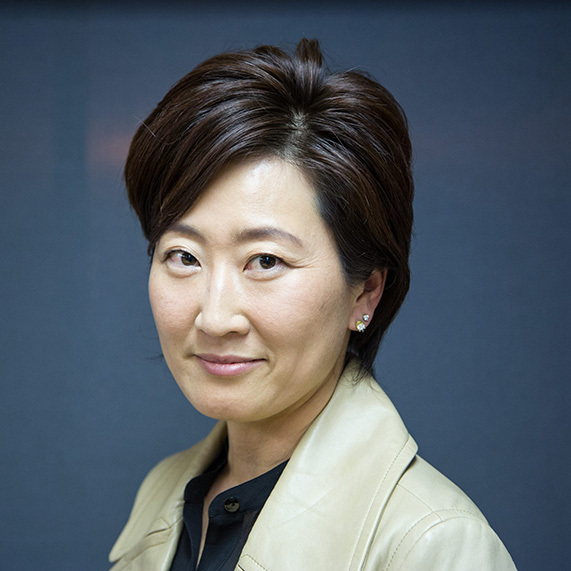 Ms. Jin Sung is the founder and Executive Director of OASIS Center International, an arts non-profit organization serving the low-to-moderate income youth of Southern California, primarily focusing on central Orange County cities. The vision of OASIS is to inspire a generation of youth to fulfill the highest level of life achievement possible through discovery and development of their inherent creative gifts. OASIS does this by exposing youth to various art forms through programs such as, after-school arts mentoring, arts based training and workshops, music and theater related events. She is currently the Associate Pastor and financial advisor of Episkiazo Christian Church in Costa Mesa, California, executive board member for non-profit organizations such as National Asian American Coalition and Orange County Interdenominational Alliance, and doner advisory board member for Korean Church Community Development. She is also an active member of the National Diversity Coalition, where she affects public policy by advocating for minority rights and social justice. As a child, her father was a prominent Korean diplomat allowing Ms. Sung to explore the diverse cultures, languages and art of the nations where her father served including: Vietnam, Denmark, India, Indonesia, and Korea. This early childhood experience was rich with opportunity to meet not only wealthy and influential people, including ambassadors and national dignitaries, but also with many whose fortunes were less than secure. She emerged from this experience with a passion for the arts and an equally passionate heart for those in need of encouragement to achieve the dreams of their lives. Some of those she has encountered along life’s path had little but a God given vivid imagination. Along life’s path, she encountered numerous youth who had a vivid, God-given imagination, but little hope or drive for a future. She was convinced that through the transformative power of the arts, a generation could be inspired to translate their dreams into reality. Thus was born the vision for OASIS Center International. Her degree in Psychology and Business Management from the University of California, Irvine, and subsequent practical experience has given her a unique ability to see issues both from a social as well as a practical view. Ms. Sung currently resides with her husband and three children in Laguna Hills, CA.